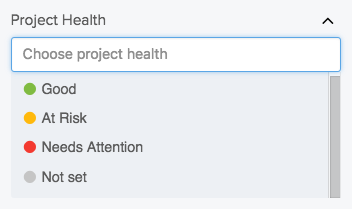 Within Teamwork Projects you can filter the projects that have been created on your Teamwork site. 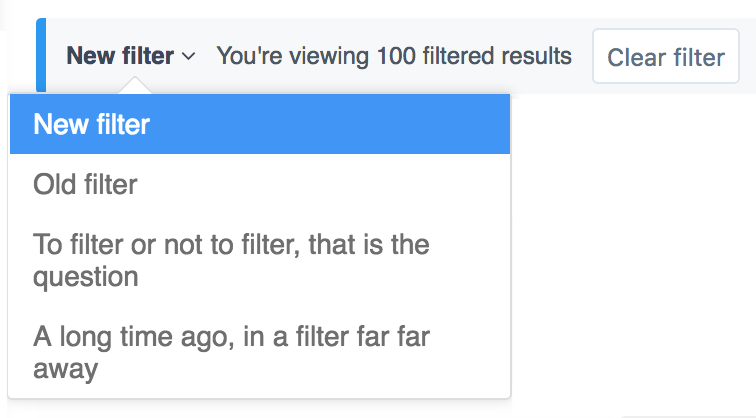 To access filters choose the filter icon to the right of the page. 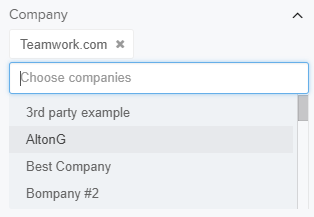 You can filter any results that include one or more matching tags. 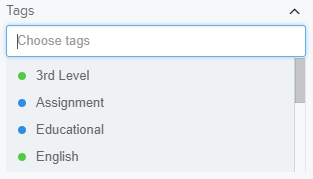 Alternatively, you can select the 'Match all tags' option which will then only return results which include all selected tags. 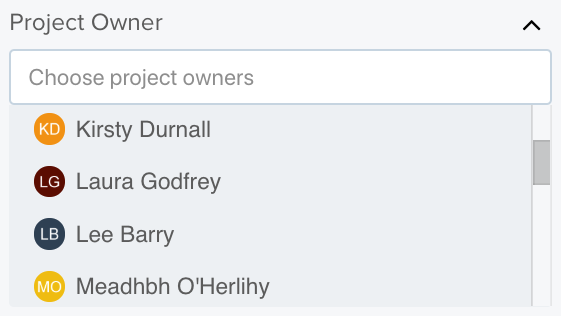 Select this option to show only starred projects in the list view. Across the top of the projects list view, you can quickly filter by letter. 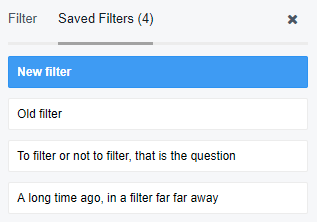 When you select a letter within the quick filter the results will show all projects beginning with that letter.